Masters athletes are already reaping the benefits of HIIT, its time you did too! As a competitive athlete in the Masters age groups, it’s very clear and easy to see that those who participate in keeping fit through training on the track utilising interval work are those within the population that appear younger and have more energy. And now we have proof that all this work is not only keeping us active as we age and giving us a very good hobby, its actually keeping us younger! A team of sports scientists from the USA have found from their research that high-intensity interval training, also known as HIIT, can actually slow down the ageing process. This training method called High-intensity interval training (HIIT), also sometimes randomly called high-intensity intermittent exercise (HIIE) or alternatively sprint interval training (SIT), is basic in structure and is simply a form of interval training, a cardio training strategy mixing up short periods of intense anaerobic exercise with less intense recovery periods. Well, obviously you won’t become 25 again or even stay 55. More accurately, the team found indications that HIIT raining helps to switch back on protein-building factories in our cells, known as ribosomes, and boosts the energy-production capacity of our cells’ powerhouses, this little masters known as mitochondria. As we get ever so older, the ability of our mitochondria to generate energy somewhat dies down. 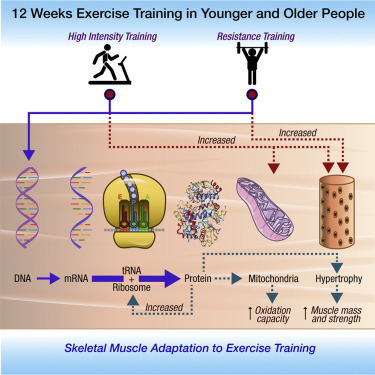 This study suggests HIIT can help to reverse the age-related changes seen in mitochondria. Healthy participants from two age groups (older and younger) were asked to complete 12 weeks of exercise. One group assigned to just HIIT, involving cycling and treadmills, another assigned to just weight training, and the last did a moderate level of both. In total, 29 adults aged 18-30 and 23 adults aged 65-80 completed their allotted regime. The researchers measured the health levels before they started and compared them with the results taken after the regimes had ended. All three types of exercise increased the lean body mass for both age groups, and increased insulin sensitivity – suggesting a lower risk of developing diabetes. Those who undertook either weight training or the mixed exercise regime also showed an increase in muscle strength – something known to decline with age and contribute to frailty. Meanwhile, both age groups who undertook HIIT, whether alone or in the mixed regime, saw an increase in the rate of oxygen they consumed while pulling out all the stops – a good measure of cardiovascular fitness. The younger participants who undertook HIIT alone saw an increase in their peak oxygen consumption of 28%, while the older group saw an increase of around 17%. For the mixed regime, the figures were 17% and 21% respectively. Those who underwent HIIT also showed it improved the energy-producing capacity of their mitochondria. For those assigned to HIIT alone, the capacity of the mitochondria increased by 49% for younger participants, and by an even higher 69% for older participants. Only the younger participants in the mixed-exercise group had an increase in mitochondrial capacity, with a boost of 38%. 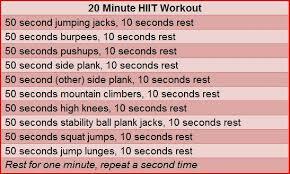 For the older population introducing HIIT in to your life can save it! When I get new people down to start training, the first thing to state and rule no.1 is start slow and build up, Rome was not built in a day. Start with the exercise bike so your joints aren’t loaded to heavy and start on your heart fitness monitoring your heart rate, and moving on to the floor for circuit training once you feel adapted. Aim for a 10 week programme to begin with, building up each week. Remeber to ensure when your training hard to get adequate levels of protein to support your muscle breakdown, check here for the levels. Daegu 2017 has begun! – But where is everybody!